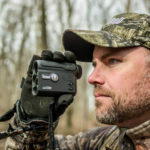 Editor’s Note: Steve Byers of Delta, Colorado, has been talking to elk and hunting elk since he was 3-years old and began cow calling to elk with his natural voice at age 5. But by the time he turned 13, his voice changed, and he started using diaphragm calls and bugles. 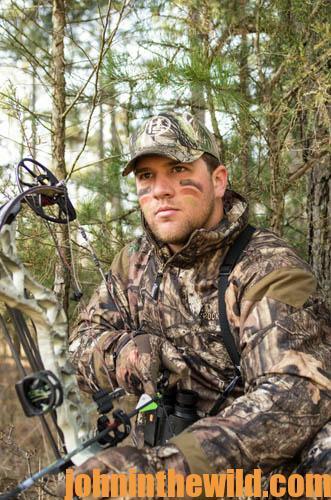 Much of Byers’ knowledge and training in the art of elk hunting came from his dad. A couple of years ago I called in a 350-point-plus bull. We got the bull to within 25 yards of my hunter. We were on a large sagebrush flat with a spring in front of us. At 4:00 pm, we had this huge bull walking straight toward us. I only had made about 10 cow calls before this bull just popped up in front of us. As they always do, this bull came to the downwind side of my hunter, who turned quickly, took a shot and missed the bull. I’ve called in quite a few 350-point-plus bulls. My ex-wife used to bowhunt with me. We spent a lot of time out in the field. I’d do the calling, and she’d be shooting. I called in a number of bull elk in this range. Although she shot at those bulls, she didn’t hit any of them. Personally, I’ve taken three bulls that have scored 330 inches or more. Here in Colorado, we don’t produce as many giant bulls as other states like New Mexico do. 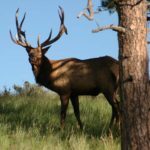 I believe the main reason is because we have so much hunting pressure on our elk. Our age class of bulls is skewed toward younger bulls. Our average age-class bull is 3-1/2-years old. If a bull makes it to 5-1/2-years, generally speaking he’ll be a 300- to a 350-plus-class bull. I’m often asked, “How do you call in your bulls?” I don’t use a lot of bugles. I really believe that’s one of the mistakes that many elk hunters make. They’ll go out and bugle and bugle and bugle trying to get a response from an elk. However, if you watch elk, and you see a bull bugling like that, they’re not really bugling to other bulls. They’re bugling for the cows, or they’re bugling to show dominance. They really want the girls to like them. I elk call like I turkey call. I go to the same type areas year-after-year where I know the wind currents will be in my favor when I’m calling. Then I know I won’t be winded when I start calling. I begin with some real-soft cow calls, just like I’ll tree call early in the morning to a turkey, since I haven’t been bugling constantly. As the sun gets brighter, I’ll cow call a little louder. If we hear a bugle, we go to the bugle. Before I call again, I want to be within 150 to 200 yards of the bull I’m talking to, because I like to try to get as close as I can to that bull. 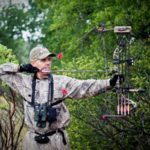 Often, I’ll tell my hunters, “We’re going to keep moving toward the bugling until we can see elk.” Once we see elk, I’ll set my hunter up right there and start backing away from him and calling. This system has produced well for us in the past. One of the real keys to this stalking in close is to move slowly and silently. 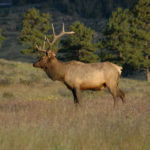 Usually, we’ll see elk when we’re 100- to 150-yards away from the herd. I’ll use two different diaphragm cow calls. I’ll start giving cow calls infrequently. I just want the bull to know that there are two cows where I am that he can’t see. I want the bull to think I’m two cows just talking to each other. Then, I’ll get more intense with my calling. I want to sound like a cow in estrus or maybe two cows in estrus that are trying to push each other away from the bull. Many times I’ll change calls. One of the calls I’ll use will be a Primos Hyper LIP Single (http://www.primos.com/products/elk-calls/hyper-lip). I’ll have a mouth diaphragm in my mouth, and I’ll blow that mouth call a little quieter than I blow the Hyper LIP Single. I’ll use my mouth diaphragm to throw the mouth call toward the elk. Then, I’ll turn my back to the elk and use the open reed call to sound like a cow that’s farther away than the first cow. Sometimes my calling sounds like a cow and calf. I want to sound like another small herd of elk that’s moved in close to the bull. 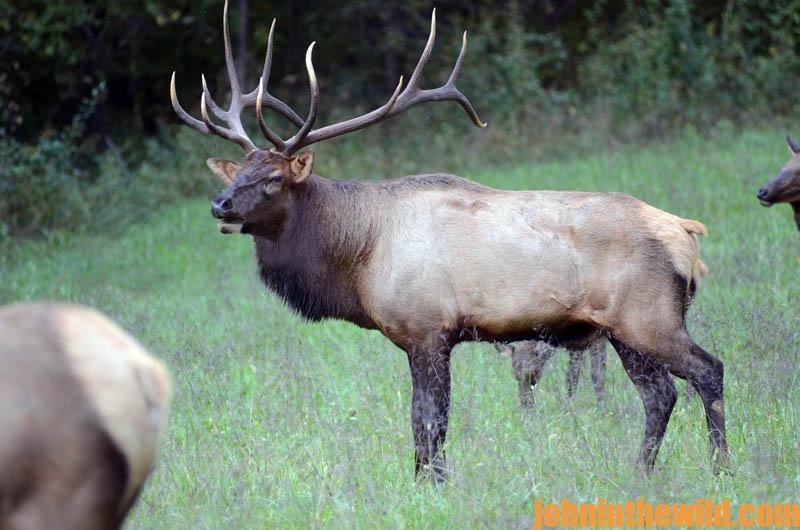 A friend of mine – world champion caller Al Morris – says, “Bull elk are much like the guys at a bar. Some of the guys are there looking for a fight. 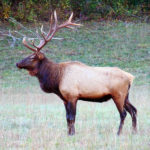 Other guys are there looking for love, and the third set of guys don’t know why they’re there – they’re just there.” Let’s look at bull elk as though they’re these three different types of guys at a bar. 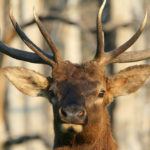 When the bull elk bugles, let’s consider the possibility that he’s demonstrating one of the characteristics of the guys at the bar. Once you know what that characteristic is, then calling in that bull is much easier. I start off trying to speak to the bull that’s gone to the bar looking for love. This way, even if the bull is a fighter, I’m not going to run him off. I’ll talk to the lover using only cow calls. The cow calls also will speak to the bull that doesn’t know why he’s at the bar. He’s often just a curious bull and wants to see the cows that are talking to him. My call of last resort is a bugle to challenge the bulls that come to the bar to fight. Many times when you have several bulls bugling, and they won’t come to cow calling, they will respond to a challenging type of bugle, because they’re the fighters. As you can see, discovering why the bull is bugling is one of the keys to success when you’re hunting elk. 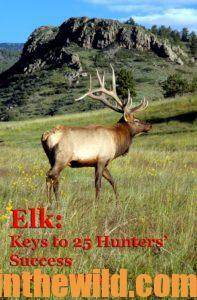 You can read John E. Phillips’ latest book on hunting elk, “Elk – Keys to 25 Hunters’ Success” and learn more at https://www.amazon.com/Elk-Keys-25-Hunters-Success-ebook/dp/B07F3CNTX2 for Kindle and print book versions. 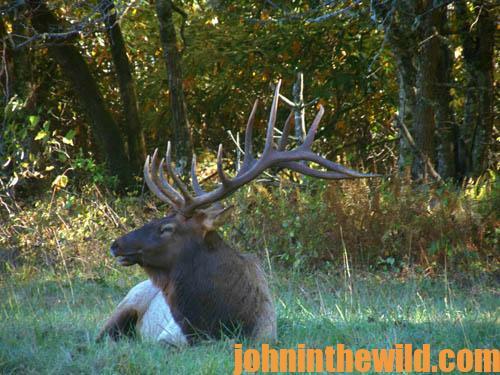 You can see John’s other elk books at http://johninthewild.com/books#elk. You can download a free app to enable you to read this book on your computer or your tablet. You also can download a free book, “Miz Denise’s Outdoor Cooking – More than 35 Recipes for Elk and Mule Deer,” at https://www.emailmeform.com/builder/form/rtJ6fD5m97CYhMXd. 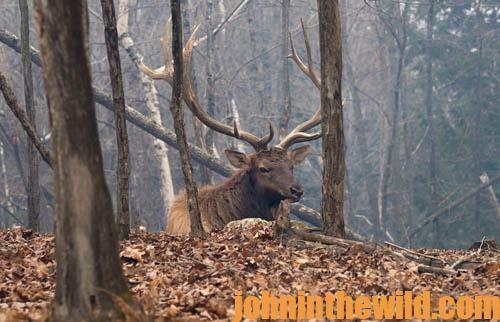 For free elk recipes, visit http://johninthewild.com/free-books/.